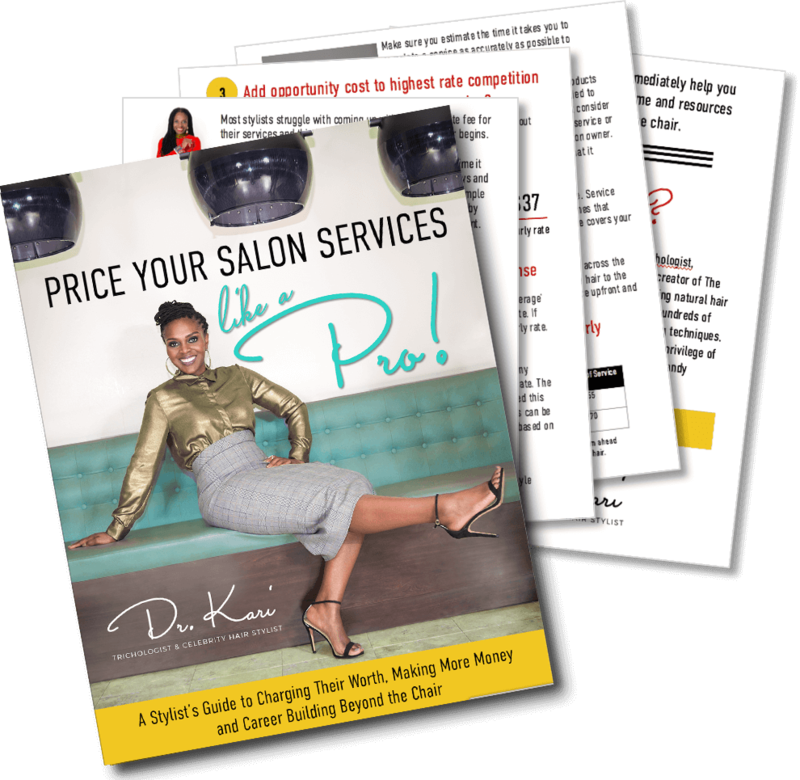 Price Your Salon Services Like a Pro! Dr. Kari Williams is the chief creator, designer, and owner of Mahogany Hair Revolution—a natural hair salon and hair care studio located in Los Angeles, CA. Mahogany prides itself on providing men, women, and children with healthy hair care education, maintenance strategies, and a variety of styles that promote healthy hair. Mahogany celebrates all hair types in their natural state and strives to enhance the inner strength and beauty of each individual by creating gorgeous and unique styles without compromising the integrity of a client’s hair. Dr. Kari is highly sought-after for her creative hairstyles that have graced the crowns of celebrities like Brandy Norwood, Meagan Good, Willow Smith and Ava Duvernay. Download My FREE Guide for Stylists! "Price Your Salon Services Like a Pro!"